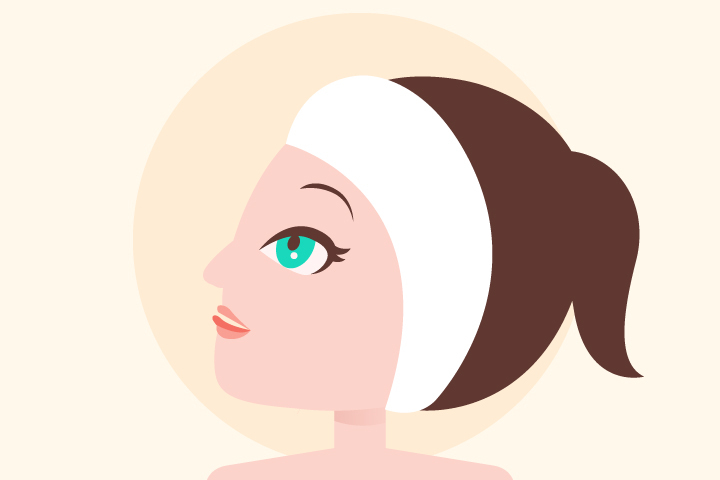 Anti-ageing facial exercises (also known as ‘Faceaerobics’ or ‘Facial Yoga’) has been an increasingly popular method of decreasing fine lines, wrinkles and reducing fat build up/sagging on the face and neck. These terms may have occurred to you if you're an avid researcher for the latest anti-wrinkle craze - but have you ever wondered if facial exercises will actually do your appearance any good? There are always new and innovative ways of treating the ageing process – some techniques more popular than others. With facial exercise techniques becoming more popular recently, here at Venn we wanted to look into how people’s attitude has changed towards treating signs of ageing in the UK. To do this, we recently conducted a survey where we asked both men and women in the UK various different questions on the topic of ageing. Our survey showed only 4% of men and women have heard of facial exercise methods and perform them on a regular basis! A staggering 51% have never heard of them – which has inspired us to create this comprehensive guide on absolutely everything you need to know. After-all, they cost nothing to do so it really is worth a try. How much do you really know about anti-aging? We’re putting you to the test to see just how much you know! Have a go at our interactive quiz below to find out how knowledgeable you are. After you’ve completed the quiz, read on and follow our illustrations on how to perform a range of facial exercises for various problem areas. According to our survey, 35% of men and women think that anti-ageing creams don’t have a direct impact on wrinkles! So it’s time to focus your attention to facial exercises and incorporating them into your regular beauty/fitness regime. To help get you working those facial muscles, here at Venn we’ve created some illustrations below which help to show you how to perform a range of some of the best facial exercises for various problem areas. This technique is fantastic for making your eyes appear wider and helps smoothen out crow's feet. What does it treat? : Crows feet, eye bags and drooping lids. Use this method instead of: Invasive eye surgery or botox. With a cleansed face, press both of your middle fingers together around the inner corners of your eyebrows (you should end up with your fingers placed above and to the side of your nose). Place your index fingers on the outer corner of each eye. Look up towards the ceiling and "squint" with your lower eyelids up. Repeat this facial exercise 6 or more times. At the end of the exercise, squeeze your eyes. The smile smoother is great for easing out frown and marionette lines. What does it treat? : Crow’s feet, eye bags, and drooping lids. Hide your teeth by making an ‘O’ Shape with your mouth. Smile as wide as you can whilst in this position. Repeat this 6 times. Hold the smile and press one finger (index finger ideally) on the chin. Finally - move the jaw up and down with your head tilted slightly back. Relax - then repeat twice more. This "flirty-eye" technique is fantastic for additional lift in the eye/brow area. Use this method instead of: An eyebrow lift. 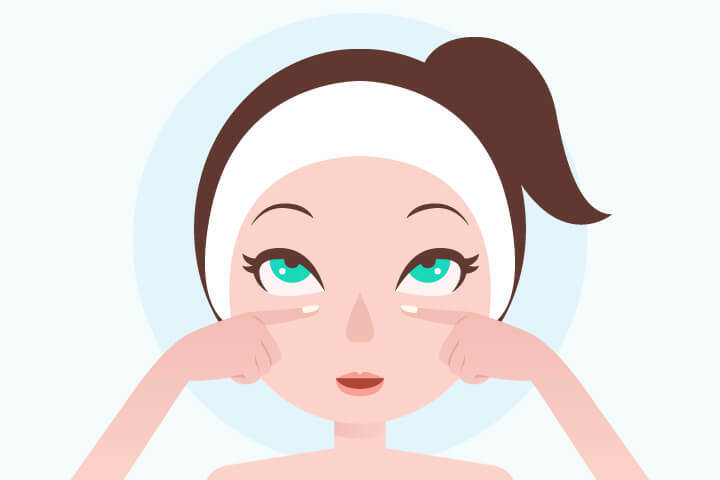 Place your respective index fingers under each eye with the tops of your fingers pointing inwards. Hide your teeth and make your top and bottom lips point away from each other at the mouth. Stare straight up into the ceiling and flutter your eyelids for 30 seconds. The jowl lifter is great for adding tone to the neck and reducing the appearance of jowls. What does it treat? : Sagging Jowls. Use this method instead of: Jowl and/or neck lift. Place your fingertips at the bottom of your neck. Lightly hold or stroke the skin downwards whilst your head is tilted back. Bring your head back down to your chest and repeat the exercise twice more. Finally, jut the lower lip out as far as possible to pull the corners of the mouth down whilst sticking your tongue up to the ceiling. Make sure you place your fingertips on the collarbone with the chin pointed upwards. Hold this position for four deep breaths. Use the brow smoothing technique to help smoothen out forehead and brow lines. What does it treat? : Forehead lines/wrinkles. Use this method instead of: Botox injections. With both hands - place them on your forehead with your finger tips facing inwards and spread your fingers out between your hairline and brows. With a slow sweeping motion, gently move the fingers outwards. Ensure pressure is light. After relaxing, repeat this exercise 10 more times.